Fiji Police Force vessel Uciwai captained by Sergeant Kasiano departed the WATERPOL from base conveying divers to conduct underwater search at the scene where the incident is believed to have occurred. Wives of the missing fishermen, Akanisi Bogi (left) and Donna Maharaj. 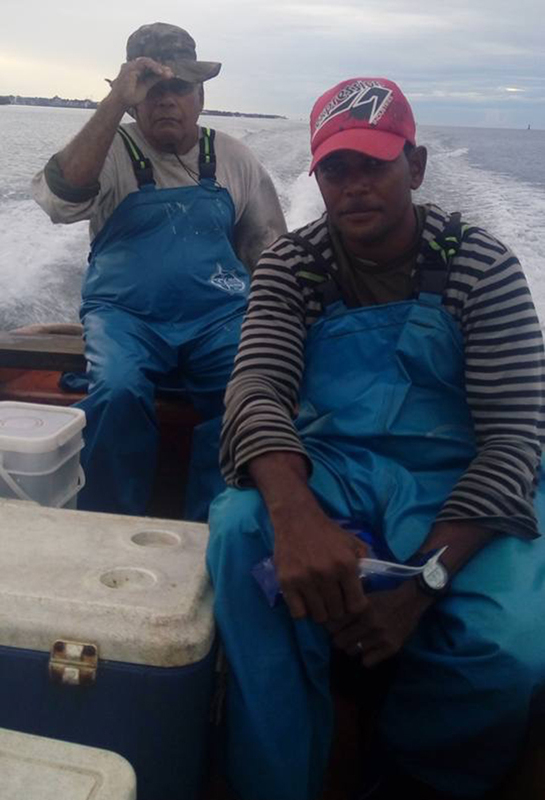 The families of missing fishermen, Feremo Elder, 66, and his namesake Feremo Elder Junior, 36, are still hopeful that they will return home safely. 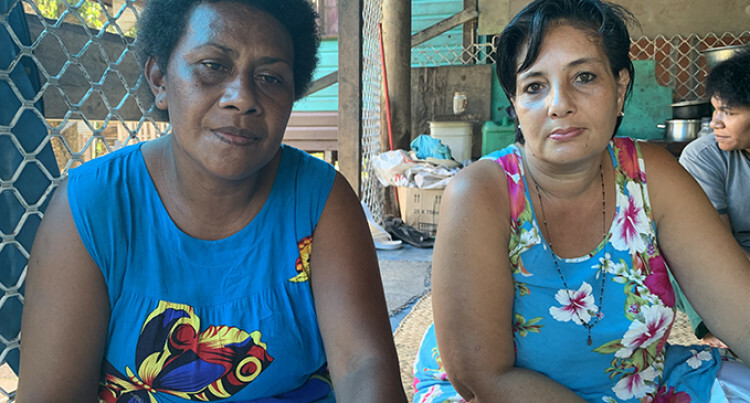 The two men, from Wailekutu Settlement in Lami, went on a routine fishing trip to the reef opening at the Suva Harbour at 6pm on Wednesday, but have made no contact to their families since. Police spokesperson Ana Naisoro said the 23-feet yellow open fibreglass boat, with ‘KESA’ printed on the side, used by the two men was recovered. However, there was no sign of them or their fishing gear, storage bucket and fuel tank. She said the 40hp Yamaha boat engine was still fixed onto the boat with propeller blades partly broken. From left: Feremo Elder, 66, with his namesake Feremo Elder junior. Hopeful wife, Akanisi Bogi, said her husband and her nephew were supposed to return home from their fishing trip early Thursday morning. “Both took their phones with them and my husband usually calls me if he will return home late,” an emotional Ms Bogi said. The wife of the younger Mr Elder said her husband, who was on leave, was scheduled to begin work again today. Donna Maharaj, 49, said her husband was a nice person and she believed that nothing bad had happened to him. Mr Elder works for a construction and logistics company called RPA Group Fiji Limited and was based at their Rakiraki Office. A report was lodged at the Lami Police Station at 1Oam on Thursday when numerous attempts to contact the two men on their mobile phones were unsuccessful.